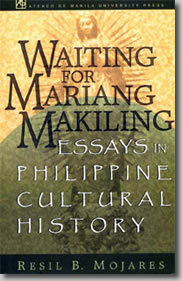 This book is an engaging exploration of Philippine cultural history. It is striking for the diversity of texts it takes up: the legend of a mountain goddess, Pigafettas's discovery account of the Philippines, the life of a seventeenth-century Christian convert, the foundation narrative of a Marian shrine, colonial books of conduct, memoirs of Filipino intellectuals, a Bisayan love poem, political talk on radio, a dinner in nineteenth-century Cebu. A singleness of purpose guides the reader through a forest of text toward an appreciation of the larger issues of cultural politics and nation formation. This collection of essays rewards the reader with the richness and originality of its insights. It is a model for the study of Philippine history and culture.